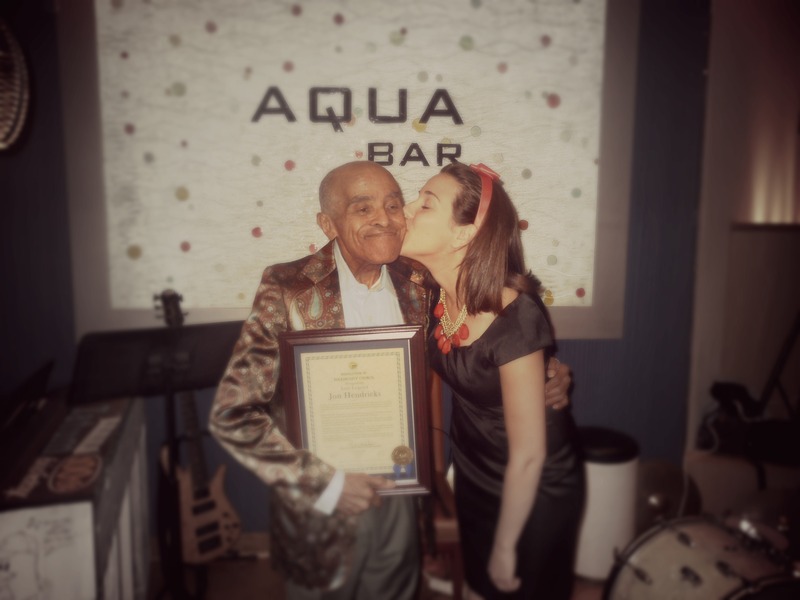 Recently the Art Tatum Jazz Heritage Society threw a party to celebrate Jon Hendricks 91st Birthday. I am so glad I was there! Jon sang beautifully; it was some of the best singing I have ever heard. He has so much jazz language, especially Bebop and Hard Bop melodic and rhythmic ideas – I could listen to the same solo endlessly! I met a lot of wonderful people, including Randy who sent me a very special video. Randy teaches history in Toledo, OH and his students put together a documentary on Jon Hendricks. It tells a lot of great history and biographical information on Jon Hendricks, with special attention on the development of Jon’s music, especially Lambert, Hendricks and Ross. Fortunately, there were lots of cameras documenting the event. I am currently doing my best to collect all of the pictures and videos possible. I will be posting them as quickly as I can. Here are a few to get you started (including the first song of the night, ‘A Mind to Ramble’)! Next Post: Jon Hendricks on Learning Music as a Child, Charlie Parker and Listening!